Camping World and its family of brands are typically associated with fun and the great outdoors. But sometimes our help is needed in much more serious circumstances. As an outdoors retailer we're in an excellent position to support those who have been displaced by natural disasters. When nature becomes less than friendly, our team is ready to step up and lend a helping hand. Many of our friends and families in Texas were devastated by Hurricane Harvey in 2017. With two Camping World locations (Houston and San Antonio) directly in its path, we experienced the impact of the storm first-hand. Knowing that the storm didn’t just hit members of our Camping World team, we knew we needed to assist members of the greater community. 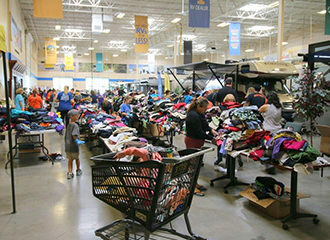 Across the country, Camping World SuperCenters began collecting new and gently used clothing for adults and children to send to the affected areas, as well as toiletries and other necessities. In the following weeks, hundreds of pallets of donations were transported and distributed to local nonprofits. In addition to collecting items, Camping World started a fundraising campaign on behalf of the American Red Cross. Through this campaign, Camping World matched $250,000 in donations to help rebuild in the wake of the hurricane. We didn’t stop there. 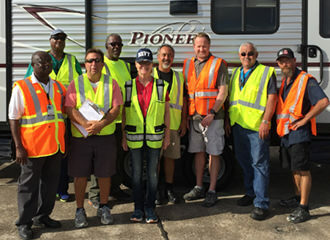 The Camping World team from the Katy and New Braunfels stores in Texas worked tirelessly to deliver hundreds of RVs to FEMA in Hearn, TX and Beeville, TX to give people a clean, safe place to live in the aftermath of the storm. 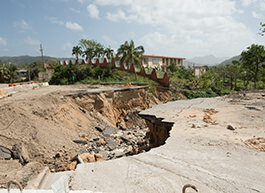 Hurricane Maria devastated the island of Puerto Rico in late 2017. 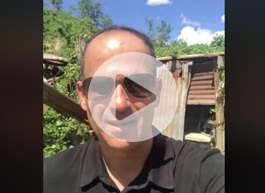 While thousands were stranded without access to food, water or electricity, Camping World’s CEO, Marcus Lemonis, decided to personally take action. On October 4th, he chartered a plane to San Juan, PR initially to help evacuate friends and family members of Camping World associates. After a short time on the ground, it was clear that more needed to be done. Lemonis welcomed individuals with no connection to any of his companies to board the plane and as a result, FEMA workers, families with pets and dozens of Puerto Rican citizens were reunited with their loved ones back on the mainland. 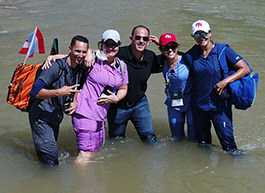 Over the following weeks, Lemonis spent more time in Puerto Rico, bringing attention to the living conditions of millions of American citizens in the wake of Hurricane Maria. 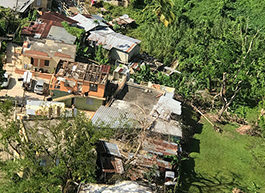 He met with government officials, medical professionals and local business owners to better understand their struggle and what the island needed to get back on its feet. Back in 2012, in the aftermath of Hurricane Sandy, Camping World donated $75,000 worth of sleeping bags, blankets, air mattresses, lanterns and 2,000 gallons of water to the relief efforts in the affected New Jersey communities. Camping World also ran a nationwide blanket drive in our retail stores and corporate offices to leverage the power of our communities, sending hundreds of shipments of donated blankets from across the country, as well as truckloads of supplies from our distribution centers to multiple relief centers in the Ocean County area. 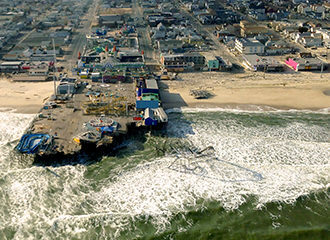 Every time we assist with a disaster like Hurricane Sandy, we hope it’s for the last time. But as long as nature continues to devastate the lives of our associates, we will continue to do what we can to help rebuild.